I LOVE the graceful arching stems of Disporopsis pernyi even when they're not in flower. The waxy, supple, glossy foliage they sport is almost succulent in appearance. Some folks errantly refer to this genus as a "Solomons Seal", but if you look at the word Disporopsis and break it down in botanical nomenclature, the suffix "Opsis", from the Greek word for appearance, means "similar to", or "resembling". 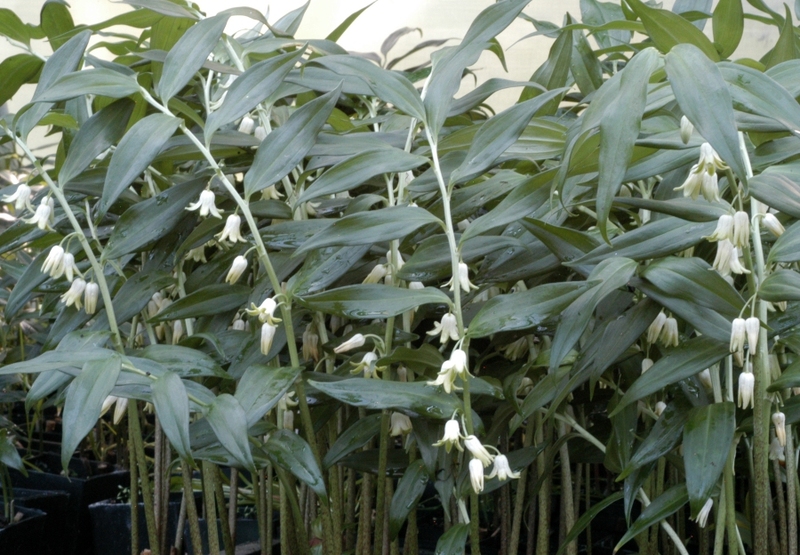 Consequently, I would take that to mean when the plant was named, it was thought to resemble Disporum, not Polygonatum (the genus of "Solomons Seal"). Maybe we should christen a new genus Polygonopsis?? If anything, Disporopsis pernyi closely resembles our lovely, native Streptopus roseus. 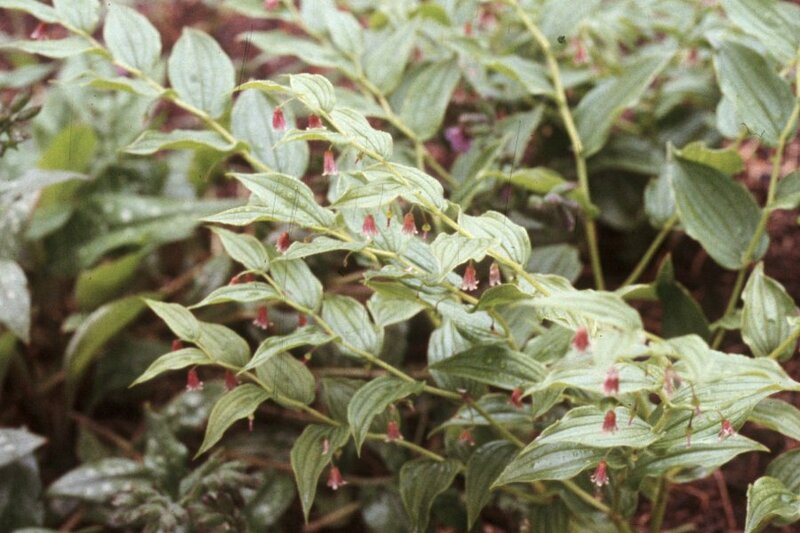 Whatever the name is, means or doesn't mean, you're looking at a plant that fills in a shady space in the garden quite quickly without taking over. I've been growing Disporopsis pernyi in my brutal Zone: 5 garden for many years now and in some milder Winters, it even remains evergreen for me. In Zone: 6 and warmer gardens, it should be reliably evergreen. Plants average about 12" to 18" tall and can take full shade, although a bit of dappled sunlight will encourage a larger colony faster. Average soil moisture and texture is all that's required for a healthy plant. All in all, it's another of what I call, "Idiotproof" plants. You can even collect seed to produce more plants, although this is a very generous plant in providing new divisions. The early to mid Spring, delicate, pendulous, white flowers followed by the black berries that Disporopsis pernyi produces are the perfect companion to Hosta, Tricyrtis, Polygonatum, well....... just about anything really. It's a very easy plant for other plants to get along with. Although not one of their first meal choices, Disporopsis pernyi isn't 100 percent deerproof, but as I always tell you, this is one of those plants that's worth a little effort to protect from Bambi's reach, be it with a fence or a deer repellent. You'll find this super plant in a few of the "gourmet" plant catalogs for considerably more money than my offer below. Larger quantities at even lower prices upon request. And if now isn't the correct time to plant in your area, you can still reserve them for a later ship date by specifying that in a space provided on our order form. Please circle the ship date in red crayon so I don't miss it.